Carnegie Mellon University alumni and former staff members at the National Robotics Engineering Center (NREC) founded Argo AI, an artificial intelligence startup in which Ford Motor Company will invest $1 billion over the next five years. The startup, based in Pittsburgh with sites in Michigan and the San Francisco Bay Area, will develop a self-driving system for an autonomous vehicle that Ford plans to produce in 2021. In the future, Argo AI might license the software platform to other companies and in other sectors. All four of Argo AI’s senior leaders have strong ties to Carnegie Mellon. Bryan Salesky, chief executive officer, is a former project leader at NREC who most recently worked with Google’s self-driving car program. He also was software lead for CMU’s Tartan Racing Team, which won the Defense Advanced Research Projects Agency’s $2 million Urban Challenge race for self-driving cars in 2007. Peter Rander, chief operating officer, earned master’s and doctoral degrees from the Electrical and Computer Engineering Department in 1993 and 1998, respectively, and is a former NREC project leader and an engineering lead at the Uber Advanced Technologies Center (ATC) in Pittsburgh. Brett Browning, vice president of robotics, is a former senior systems scientist at the Robotics Institute and NREC and formerly of Uber ATC. Daniel Beaven, chief financial officer, earned an MBA at the Tepper School of Business in 2003 and was a top financial officer at Carnegie Robotics — a spinoff from NREC — and at Uber ATC. Ford President and CEO Mark Fields said the Argo AI team will develop the software platform for a “level 4” autonomous car. 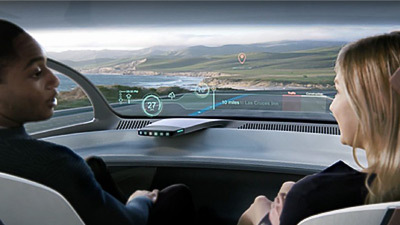 A level 4 self-driving system can control a car without the need for driver attention in all but a few environments, such as severe weather. Argo AI expects to have more than 200 team members at its three sites by the end of the year.